S7 at New York Comic Con! 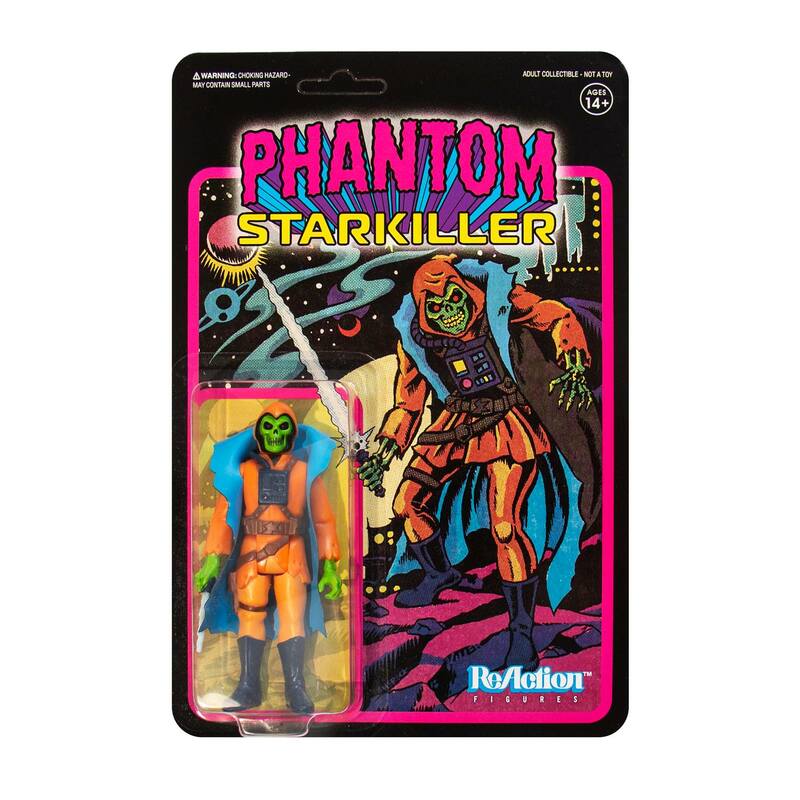 We are stoked to reveal the Super7 x Killer Bootlegs collaboration on the official 3.75″ Phantom Starkiller – Cosmic Terror ReAction Figure! The Cosmic Ghoul Warrior returns to carry out his dark master’s wishes and lead his deathless army… Phantom Starkiller is a NYCC 2018 debut and will be available at our Booth #642. Come celebrate his return with us, won’t you!? S7 at New York Comic Con! 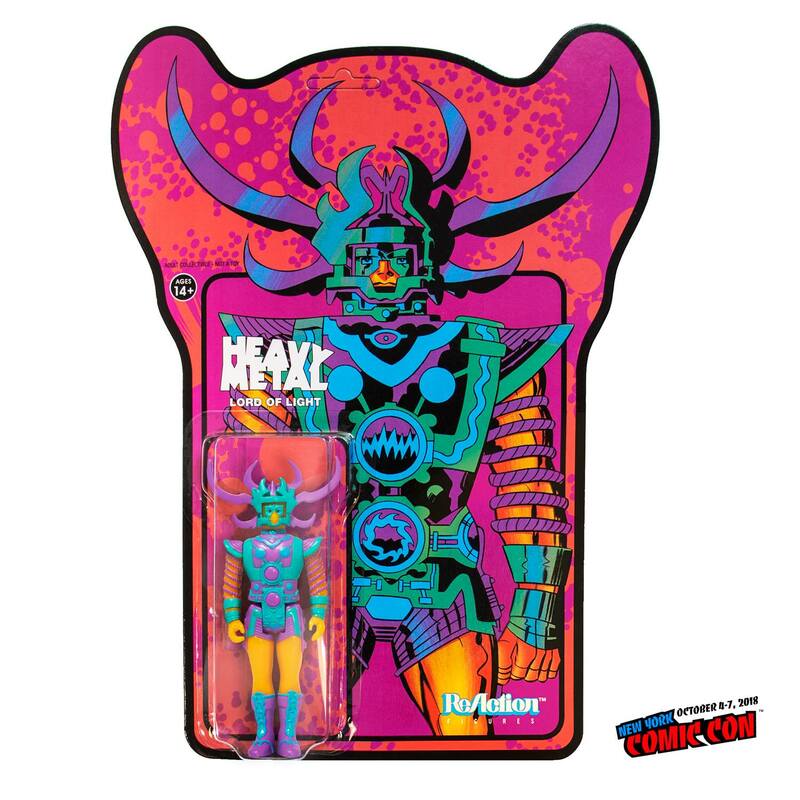 The Super7 x Heavy Metal Magazine collaboration continues with the latest version of the Lord of Light 3.75″ ReAction Figure and this release is colored after some of the original Jack Kirby art. This is a NYCC 2018 debut and will be available at our Booth #642. S7 at New York Comic Con! 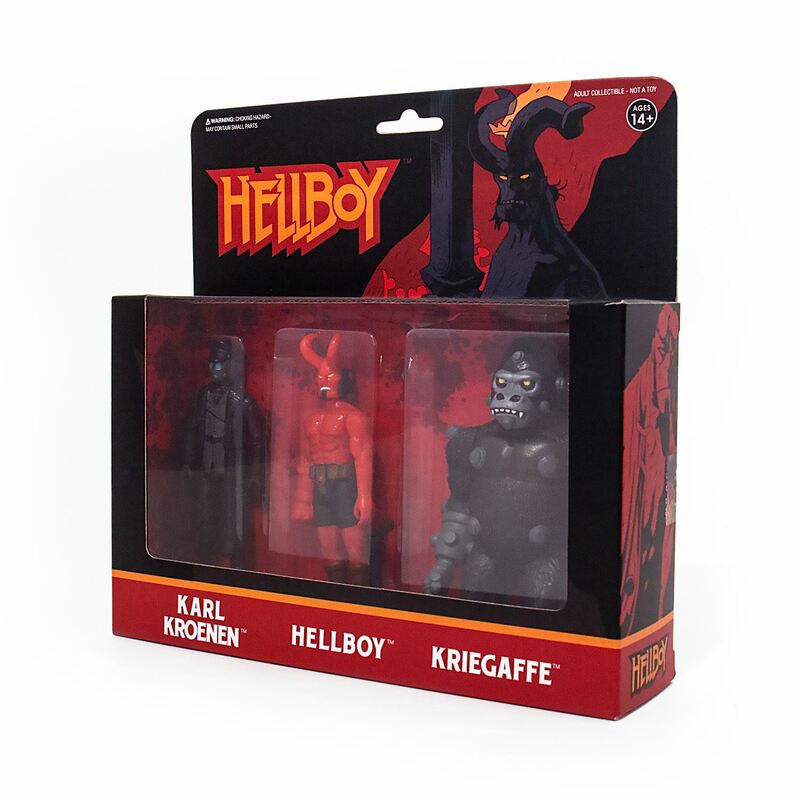 From the pages of the iconic comic book series by the great Mike Mignola (artofmikemignola.com) comes the Wave 2 Figures of Super7’s Hellboy ReAction assortment. 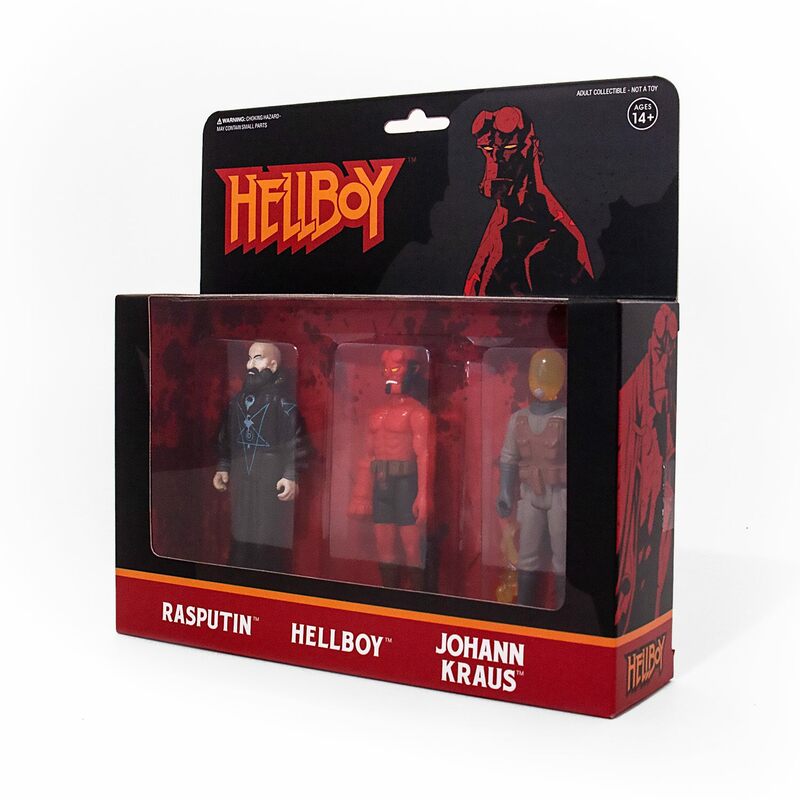 These are a NYCC 2018 debut presented in a pair of collector 3-Packs: Pack A comes with a new Hellboy (WITH horns), Karl Kroenen, and Kriegaffe Ape and Pack B comes with another new Hellboy Version 2 (with no horns), Rasputin, and Johann Kraus. Both packs will be available at our Booth #642 in New York! Oh boy... I like all of this. 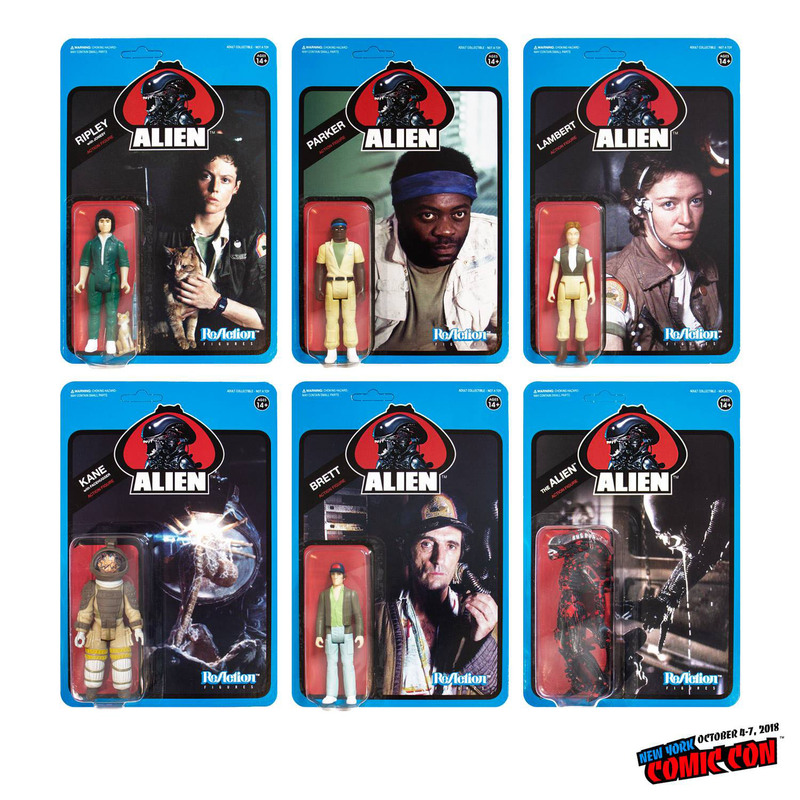 The original unreleased Kenner Alien figures were the only ReAction figures I collected so I'll get these for sure. And the Halloween candy buckets, need those. So I worked at a retail store that sold a wide variety of the ReAction figures and no one, I mean no one, bought those things. Not even the chase figures. Eventually one guy bought most of them when they went down to 2.99 a fig. Is this what the rest of u guys have found to b the case or are they more popular outside the midwest? I think the problem is this is a collector oriented line and retail does not mesh well with collector oriented product. On another note, my Super 7 box arrived today. I got 2 more Hellboy cases and an Alien case. I did not realize the Alien case was bigger. 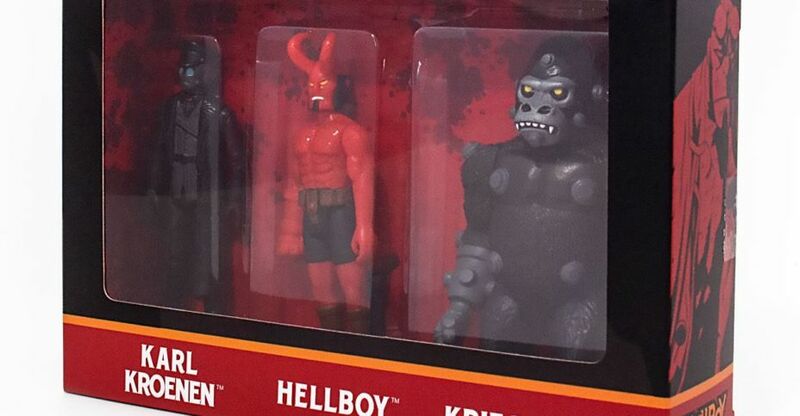 The Hellboy case is just like the original Kenner Star Wars cases except for the art. The Alien case is twice as deep, which means it should hold 4 figure trays, but it only has 2 trays that are twice as deep. They still hold twice as many figures but you have to double stack them. The small slot obviously meant for R2D2 will fit normal figures so that is a plus. Been waiting forever for Parker, Brett, and Lambert... and now they're in a $90 set... Dagnabbit! I am so glad I decided not to collect the Alien figures. Super7 really screwed up in the very beginning with the exclusives, so I said screw that. I haven't seen them move at any local comic shop anyway, and once you see them in person it is easy to pass on them. I have no idea, other than fleecing those that actually want them, why they are priced so high. That's a big turn off, and besides, NECA is MUCH better. Who is the Phantom Starkiller supposed to be? Something related to Star Wars? A new part of Super 7's The Worst line? I believe the character is a Star Wars bootleg that started in the art toy and bootleg scene. There's been a few iterations over the years by DKE Toys and Killer Bootlegs. Yeah, the lightsaber and Darth Vader-style chest unit kinda clued me into it maybe having something to do with Star Wars. Thanks for clearing that up.